During your initial consultation, we will detail your diagnosis and treatment options. 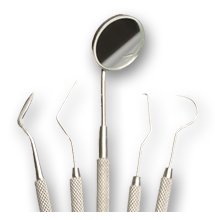 Most of the time, a Root Canal treatment can be done in the same day. However, a complex medical history or treatment plan will require an evaluation and a second appointment to provide treatment on another day. IMPORTANT: A parent or guardian must accompany all patients under the age of 18 at the appointment. Your dentist referral slip and any X-rays if applicable. Our office is equipped with a digital X-ray machine, however it is helpful to compare them to an X-ray provided by your dentist. Print form, complete information and bring to your appointment.